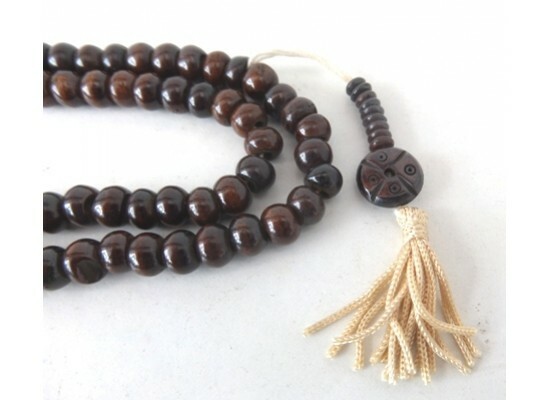 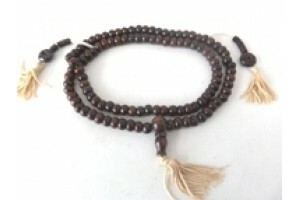 Dark bone prayer beads with guru bead and counters. 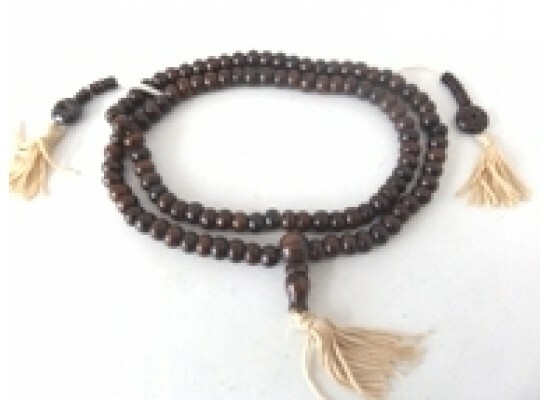 7mm beads. 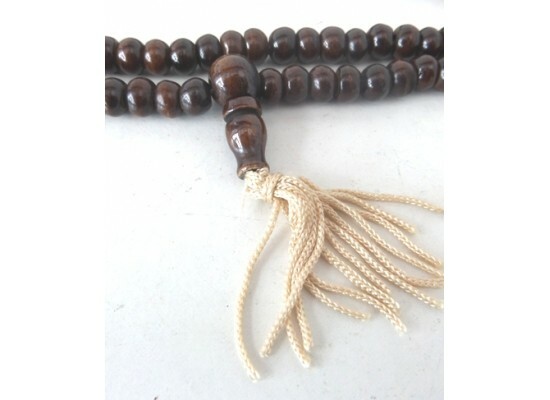 They are strung with tassles and a guru bead set at the top in the traditional Eastern style.